Pioneers in the industry, we offer Messer Cutting Machines such as OmniMat Fiber Cutting Machine, OmniMat Combo Cutting Machine, TerraBlade Cutting Machine, Secator Cutting Machine, ProBlade Cutting Machine, MultiTherm Eco Cutting Machine and many more items from India. We are Leading Manufacturer and Exporter of OmniMat Fiber Cutting Machine. We are Leading Manufacturer and Exporter of OmniMat Combo Cutting Machine. 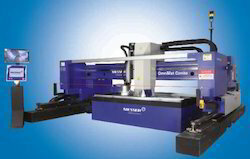 Looking for Messer Cutting Machines ?